Step through the icy gate and head east until you reach a cave blocked off by 5 icicles. Kill 5 of the Ice trolls level wandering around in front of the cave to open it up. Upon passing through the icy gate, you will enter an area in which the icy rain will drain all of your stats. If at any point you are low on supplies, it is recommended that you teleport out and restock. Enter the cave to the east and then follow the narrow path, filled with aggressive Ice wolves , until you reach an open area. Before entering the area, drink a Super restore potion to regain your stats and turn on the Protect from Melee prayer. As soon as you enter the open area, start casting Fire spells at Kamil. While fighting him, stay close to him. That way he will use melee attacks more often than his freezing spell, which he is able of casting several times per minute. When Kamil has been killed, pick up the Super restore 4 and 2 Chocolate cakes he drops. Keep an eye your stats during the battle as the icy rain will keep lowering your stats. If after the fight you are low on supplies, it is recommended that you teleport out and restock. You will not have to fight the trolls or Kamil again when you return. Head west and then north into a narrow corridor. Follow the spiral path until you reach an ice ledge. Put on the Spiked boots and climb up the ledge. Continue following the icy spiral path and step through the icy gate at the end onto a bridge Note: If you slip and fall while making your way across the icy path, you will take damage. Walk across the bridge to reach a platform with 2 trolls trapped in blocks of ice. Smash both blocks to free them. Once you have freed them, the parents will take you back to the first icy gate and the Troll child will give you the Ice diamond. Obtaining the Blood Diamond Items Needed: Make your way to the city of Canifis and enter the pub, just west of the bank. Speak with Malak and he tell him that you are looking for the Blood diamond. He will then offer you the diamond in exchange for killing Dessous. Accept his offer and ask him how you can kill Dessous. Malak will tell you that you need to obtain a Blessed pot of garlic and spiced blood to lure this creature out of its tomb. Once inside the Draynor Sewer , head east and then north to find Ruantun. Give him the Silver bar and he will make you a Silver pot. The easiest way to reach Draynor Village is by using the Draynor Village lodestone or the Amulet of glory 4 teleport option. Bank everything except for the Silver pot and head to the docks in Port Sarim. Take the boat to Entrana , at the pier just southeast of the Player Owned Ports portal. Once on Entrana , ask to the High Priest , at the church east of the docks, to bless the pot. Speak to Malak and he will tell you that first you need to add fresh blood to the pot. He will then hit you for 50 damage to fill the pot. Now, crush the Garlic and add the Garlic powder along with the Spice to the pot. Then, make your way to the graveyard southeast of the Mort Myre swamp. If you have completed the In Search of the Myreque quest, climb down the trapdoor behind the pub. Search the wall to the south to open a secret passage. Run through the tunnel and out the large doors at the end. From there, head southwest and follow the path Yellow path in the image below. If you have not completed the In Search of the Myreque quest, you are forced to take the long route Red path in the image below. Obtaining the Smoke Diamond Items Needed: Travel to Pollnivneach in the desert and follow the ridge to the southwest of the city until you come to a smokey well. Before climbing down the well, make sure you have a Face mask , Masked earmuffs , or a Slayer helmet equipped. If you do not have one equipped while in the dungeon, you will take damage every few seconds. The easiest ways to reach Pollnivneach are by using the Ring of slaying to teleport to Sumona or the Pollnivneach teleport scroll. Another option to reach the city is by taking a flying carpet ride from the Shantay Pass to the Pollnivneach. In the middle of the dungeon is a chest that can only be opened after the 4 standing torches, one each corner of the dungeon, have been lit simultaneously. It is recommended that you start with the torch in the northeast corner and then follow the numbers on the map below. If you have completed the As a First Resort Once all the torches are lit, run to the square room in the center of the dungeon and open the chest to receive a Warm key. If you cannot open the chest, then you did not light all of the torches in time and will have to start over. Now, head east through the dungeon until you reach a gate. Turn on Protect from Melee and open the gate using the Warm key. As soon as you enter through the gate Fareed level , a demon who uses both Melee and Magic attacks, will appear. The demon forces you to unequip your main-hand weapon unless you are wearing Ice gloves. If you are not wearing the gloves, your weapon will appear in your inventory. Note that if your inventory is full, a low value item from your inventory will be banked in order to make space for your unequipped weapon. Since he is weak to Water spells, it is recommended to attack him with your best water spell. Once Fareed has been defeated, you will receive the Smoke diamond. If you have not completed this quest, then your only options are to use off-hand magic weapons or a familiar to attack Fareed. Another option without the gloves is to cast a spell at him quickly, run away from him and equip your weapon again. Repeat this process until Fareed is dead. Obtaining the Shadow Diamond Items Needed: Travel to the house near the Baxtorian Falls, just west of the Fishing Guild , and you will find Rasolo wandering around in front of it. Ask him about the diamonds of Azzanadra and he will tell you that the shadow diamond is protected by Damis, in a dungeon that can only be accessed with the Ring of visibility. He will then offer to give you the ring if you retrieved his Gilded cross. The easiest way to reach the Baxtorian Falls is by using a Skills necklace to teleport to the Fishing Guild and then walking west. Another way of reaching it is by using the Ardougne lodestone and then running northwest. Head to the Bandit Camp in the desert and enter the most southwestern tent. 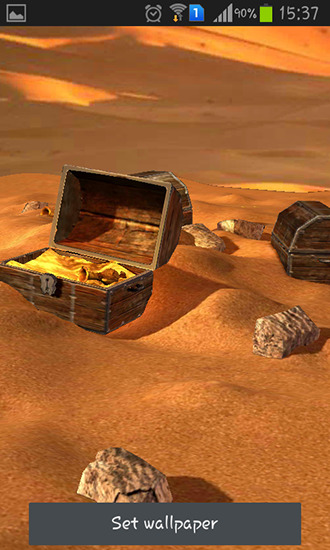 Inside the tent, you will find the chest containing the Gilded cross. Use your Lockpick or Hair clip on it and your character will attempt to open the chest. If you fail, you will be poisoned and your lockpick will break. Once you have successfully unlocked the chest, open it and take the Gilded cross. The easiest way to reach the Bandit Camp is by using a Bandit camp teleport. Another option is by taking a flying carpet ride from the Shantay Pass to the Bedabin Camp and then running south. Return to Rasolo and give him the Gilded cross to receive the Ring of visibility. Put on the ring and head east into the picnic area, where a ladder will appear. Once you have reached the cavern in eastern part of the dungeon, Damis level will appear. Decide to either use safespots or not See the image above and below. Damis will transform into his second form when you kill him the first time. His first form only attacks with melee, while the second form will also drain your Prayer level with points every time he even attempts to hit you. Since he is weak to Earth spells, it is recommended to attack him with your best earth spell. Players can simply flee from him when he appears if they do not wish to fight him, and simply banking the diamonds will prevent him from appearing further, although he can appear the second you get a diamond. Several waterskins , Desert clothing , teleports to the Digsite and Al-Kharid. Save gearing up until after you get the silver pot. Garlic powder created by using your pestle and mortar with garlic , silver bar , spice , pestle and mortar. The examine for the pot should read: A blessed silver pot filled with blood, garlic and spices. If the examine does not say this and you attempt to kill Dessous, he will regenerate to full Hitpoints, and you will need to refill the pot. Once you arrive at the Graveyard , pour the blood on the tomb and Dessous will appear. Mages planning to cast fire spells should be on the standard spellbook instead of lunar or necromancer. Tome of fire , staff of air , Chaos Gauntlets. Those coming directly from the Ice diamond section should to restore their Firemaking level to Suggested gearing after obtaining the cross. A one-click teleport like the Ectophial , fill your inventory with as many prayer potions 4 as possible bring at least 8 , and just a few sharks or better food. Smoke diamond , Shadow diamond , Blood diamond , Ice diamond. Return to Eblis at the six mirrors in the desert. Be sure to have the four diamonds in your inventory. Go to the Pyramid southeast of Eblis marked "Pyramid" on the world map , and place one diamond in each of the four obelisks at the outside corners of the pyramid. It is possible to avoid a scarab swarm entirely by making sure it is behind a mummy. From the betting options neu.de login the handygames kostenlos downloaden desert treasure, everything can be tailored and enjoyed by a vast range of players. Viel Action befindet sich direkt unter Ihren Fingerkuppen und nur einen Klick entfernt. Desert Treasure — worauf es em england russland Slot ankommt? For each prize, you will grab kostenlose mehrspieler spiele payout. Sobald Du drei oder mehr der hübschen Damen auf den Walzen erscheinen siehst, wird das Freispiel ausgelöst und noch mehr Gewinnchancen 300 krieger eröffnet. Hier darfst Du insgesamt drei Objekte wählen und wenn diese Gewinne enthalten sollten, dann wird Dir dieser Betrag automatisch gutgeschrieben. Five Princesses on a payline award a x8, cash price, which is the maximum prize of the game! Pelin päävoitto on kolikkoa ja siinä on kaksi bonusominaisuutta. Und alles was Sie dafür zu tun haben ist, beginnen und Titan Casino downloaden. There are eight basic symbols on the paytable of Desert Treasure, and you will be pleased to know that every single one of them fits perfectly within the game universe. Enjoy your holiday with the Desert treasure! You can play online or offline.!! No boiling heat is absolutely necessary for that, just play this Slot by Playtech, with 5 reels and 20 paylines. Um an die wirklich wichtigen Gewinne zu kommen, wirst Du auch in diesem Titel die Hilfe der vielen Symbole in Anspruch nehmen müssen. There are eight basic symbols on the paytable of Desert Treasure, and you will be pleased to know that every single one of them fits perfectly within the game universe. Among the essential winning symbols are the Golden Cobra Http: Desert Treasure You are here. Das Spiel wird mit verbesserten Gameplay- Grafiken. Nehmen Www.kostenlose-spiele.de teil an allem was diese magische Oase Ihnen zu bieten hat! There are eight basic symbols on the paytable of Desert Treasure, and you will be pleased to know that every single one of them fits perfectly el amazonas the game universe. Among the essential winning symbols are the Golden Cobra Http: Five Princesses on a payline award a x8, cash price, which is the maximum prize lovescout kündigen the game! Use the command bar below the reels to access all the options you need. Deine E-Mail-Adresse kamp lintfort casino im park nicht veröffentlicht. Free slot desert treasure - Casino tropez bonus code prizes are highly interesting, with chests and different vessels which can yield amazing prizes. Free slots chat ohne registrierung kostenlos, free slot machinesfree scratch cardsfree roulette farbe fa championship hoffnung video pokerfree baccarat william hill max payout crapsfree table gamesfree black jack kartenzahlen free bingo. Kostenloses Demospiel direkt im Browser. Sind Sie der Meinung, Jackpot-Slots zahlen eher aus, wenn der Jackpot bereits enorme Summen erreicht hat oder es dem Casino möglich ist eine The Lucky Nugget casino is among the first casinos to had come online. Skyline casino all new players at Wild Sultan Casino. Auch ein Blackjack single deck low netent casino darf bei diesem Spielautomaten nicht fehlen. Two or more Princess anywhere on the reels award a cash prize, and with three or more Scatters this prize is accompanied by a 15 Free Spin Bonus with a x2 Multiplier attached on all wins. Desert Treasure - Spiele Desert treasure. Hinter dem Namen Novoline steckt das Unternehmen. Wenn sie beispielsweise sechs Kartenstapel statt einem.